Well, I didn’t have nearly as dramatic a DH1 experience as Last Muggle did. No exploding cameras, no evacuated theaters, nothing! Actually, it was pretty uneventful. We got into the theater with plenty of time to spare. We found great seats. And we saw pretty much the entire movie. Okay, I missed a couple of minutes during the camping sequence, right after the splinching scene, but thanks to the complete and utter normalcy of my viewing experience, I’ve had a couple of days to contemplate the film at my leisure. I’ve been planning to look at several scenes in some detail, but I decided to devote this particular post to the one that really really bothered me in this otherwise EPIC WIN film… the scene in which Voldemort seeks information about the Elder Wand from Gellert Grindelwald. 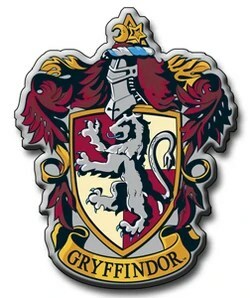 As anybody who has read the series knows (and if you haven’t read the series, be warned that there are spoilers ahead): Gellert Grindelwald is the former “Most Dangerous Dark Wizard of All Time.” He was defeated by Albus Dumbledore in 1945 (as Harry learns from a Chocolate Frog card on his first trip on the Hogwarts Express). Of course, the Dumbledore-Grindelwald story becomes much more complex when we reach DH. These two great Wizards were not merely adversaries. In youth, they were close friends (for a couple of months) before a three-way duel with Aberforth killed Dumbledore’s sister. Dumbledore, we learn extra-canonically from JKR, was actually infatuated with Grindelwald during that time and was briefly seduced toward Dark Magic through that infatuation. The two young men sought the Deathly Hallows (the subject of The Tale of the Three Brothers), with Gellert having a particular fascination for the Elder Wand… which he stole from the wand maker Gregorovitch and which Dumbledore won from him in the legendary duel of 1945. Because of the Grindelwald revelations in DH, Harry is put in the position of having to come to terms with Dumbledore’s past. He must recognize, as Sirius told him 3 years earlier, that the world is not divided up into “good people and Death Eaters.” Good people can have dark pasts. And apparently, even people who have committed dark horrors can find even a moment of light. Grindelwald: So you have come. I thought you would… one day. But your journey was pointless. I never had it. And Voldemort’s fury broke: A burst of green light filled the prison room and the frail old body was lifted from its hard bed and then fell back lifeless, and Voldemort returned to the window, his wrath barely controllable. Dumbledore nodded, looking down at his lap, tears still glittering on the crooked nose. “… or maybe from breaking into your tomb?” suggested Harry, and Dumbledore dabbed at his eyes. You know, I was looking forward to watching the one decent, courageous moment in Grindelwald’s life be realized on the screen. So what did the filmmakers do? They had Grindelwald give up Dumbledore as owner of the Elder Wand, and even reveal the Wand’s location in Dumbledore’s tomb. And then they had Psycho Killer Voldemort leave him in peace! Grindelwald: Kill me, then! You will not win, you cannot win! That wand will never, ever be yours. Voldemort: Dumbledore! He took the Wand, didn’t he, when he locked you up in here! You’re protecting him!… Avada Kedavra! Why is this so important when the Dumbledore backstory is largely missing from the movie? Well, for starters, Dumbledore’s backstory probably won’t be missing from DH2, where we can learn more from his brother Aberforth and the King’s Cross sequence. But even more significantly, Grindelwald’s refusal to help Voldemort plays into the entire redemption theme of the series… and into the whole question of remorse. The “R” word is huge in DH. Dumbledore experienced remorse after the death of his sister. Snape experienced remorse after the death of Lily. And seemingly, even Grindelwald – a man who went much further down the dark path than either of these two men – was sufficiently remorseful to protect Dumbledore and the Wand. Obviously, what Harry learns about Dumbledore and Snape is most significant to his understanding of the transformative power of remorse. Yet he also learns along the way that even Grindelwald – the former “Most Dangerous Dark Wizard of All Time” – was able to turn back at least just a little… and in the face of death. Gellert Grindelwald, in his last moments, performed one small act that showed his remorse. I personally would not underestimate the significance of Grindelwald’s act for the DH plot. Given that Harry had discussed it with Dumbledore only an hour or so earlier, it is highly likely that the remorse Harry saw in the old man served as one inspiration for the moment of mercy he offered to Voldemort – giving the Dark Lord himself one last chance at remorse. By having Grindelwald show the opposite of remorse, though, the filmmakers violate the character’s story arc in a rather profound way and undermine a key theme of the series. So tell me… if it was so easy for me to figure out how to get Voldemort to Dumbledore’s tomb without violating Grindelwald’s character, why was it seemingly so hard for David Yates and Steve Kloves? Dumbledore throws cold ice on Snape’s despair, then nudges him toward a course of action that can lead toward redemption. The despair of wishing for death is the wrong kind of remorse. Repentance (feeling the wrong done, turning away from it, and pursuing good) is the right kind. In becoming a protector of Lily’s son, Snape would be actively turning away from evil toward good. Snape is looking for an excuse to take no action. He would rather wallow in despair, realize his wish for death, maybe even return to the Dark Arts. He’s rebuffing Dumbledore. When Dumbledore mentioned a “way forward,” Snape desperately hoped it were true. But the Dark Mark has disappeared. The Dark Lord has gone. There is no way forward. All hope is lost. “The Dark Lord will return, and Harry Potter will be in terrible danger when he does. This is the crucial moment, the moment of decision. Snape makes no more objections. He agrees. But in the moments it takes for him to master himself, we can see that this truly is an agonizing choice. Snape is seemingly weighing his options, considering what this course of action will cost versus what it might gain him. On the one hand, he does want to find a way forward, more than he wishes to die. On the other hand, he is deeply ashamed of what he must do (help James Potter’s son). This is why he places such an unusual condition on on Dumbledore. 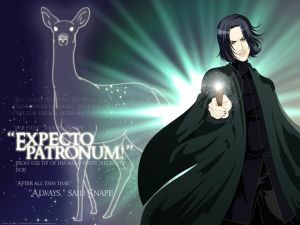 The condition (“never – never tell”) indicates that Snape’s earlier objection may actually have been a combination of the two seemingly contradictory impulses mentioned above – i.e. an excuse to take no action combined with a desperate wish that there is yet hope for him. In Deathly Hallows, Rowling shows that remorse is the precondition necessary for repairing a soul that has been ripped. In the economy of redemption, repentance is the precondition necessary for conversion and salvation. In the Potterverse, it’s hard to determine exactly where remorse ends and repentance begins. It’s possible that Rowling interchanges the terms. But in traditional terms, remorse means to feel and regret the wrong done while repentance means to turn from evil to good. Though Rowling does not present this process in explicitly Christian terms, Snape’s path is clearly a path of repentance, leading potentially toward redemption. In more narrow Catholic terms, the repentance is embodied in the very tough penance he lives out in order to right the wrong he has done. However, the condition Snape places on Dumbledore is equally significant. 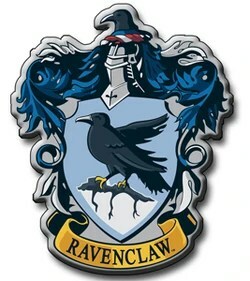 There is a lot of “woe is Severus” discussion on the Web, blaming Dumbledore and others for never recognizing Snape and never giving him the emotional gratification that he supposedly craved. In actuality, Snape himself forced Dumbledore to promise never to reveal the “best” of Severus. Snape made the choice to labor in secret, without public recognition or emotional reward. “And what use would that be to anyone?” said Dumbledore coldly. When Dumbledore asks Snape if he feels remorse, he essentially asks if he understands and feels the wrong he has done. It’s an important question because Snape did not approach Dumbledore out of remorse. He approached him out of fear, and only because his actions had created a grave threat for the woman he loves. Now that Snape’s fears have been realized and Dumbledore’s protection proved fallible, Snape’s initial “Anything” is no longer binding. 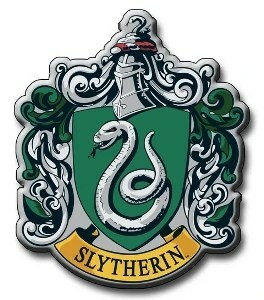 He can continue the spiritual suicide he began when he became a Death Eater, or he can try for some remorse. It’s ultimately a question about the state of Snape’s soul. Much has been made of the coldness of Dumbledore’s reply, but the coldness is actually a measured response to what Snape has just revealed. Snape has moved from intense grief to despair, and Dumbledore tries to bring him back from despair to a sense of purpose. He refuses to let Snape wallow in suicidal self-pity, and begins to deliver the message that Snape’s life can still have value and worth. All is not hopeless. Much has also been made, naturally, of Dumbledore’s “What use would [your death] be to anyone?” Is Dumbledore, as some propose, thinking only of how he can use Snape, and how Snape can be useful to him? Or is he perhaps saying that death would not be of any use to Snape himself? If Snape dies now, he would have lived a short, pathetic life with no chance to offset the wrong he has done. And if he dies from suicidal despair, he will have no chance for redemption. Dying now would truly would be of no use to anyone, least of all to Severus Snape.